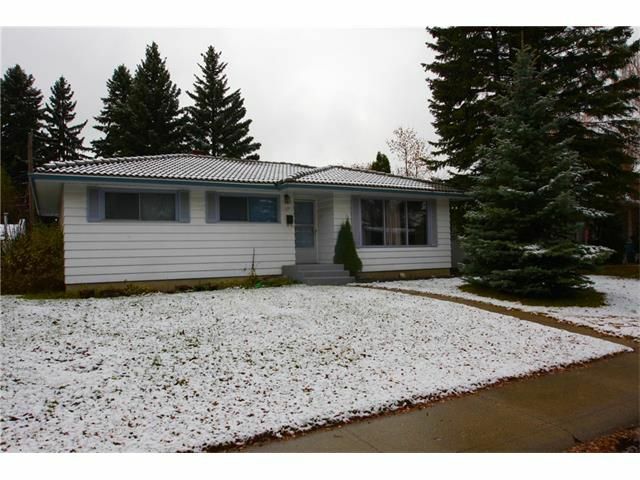 Spacious West Haysboro bungalow in the heart of Calgary! The main floor offers hardwood flooring, a large living room, dining room, kitchen, 3 decently sized bedrooms, & a 4 pc bathroom. Fully finished basement is where you will find a 4th bedroom with a walk in closet, large family room, laundry room, & 3 pc bathroom. The sunny south facing back yard is great for entertaining and has mature trees for privacy. Conveniently located just steps to shopping, doctors, church, public transportation, C-train, schools, hospital, Heritage Park, Glenmore Park & Major roadways (14st, Elbow Dr., Glenmore Trail).